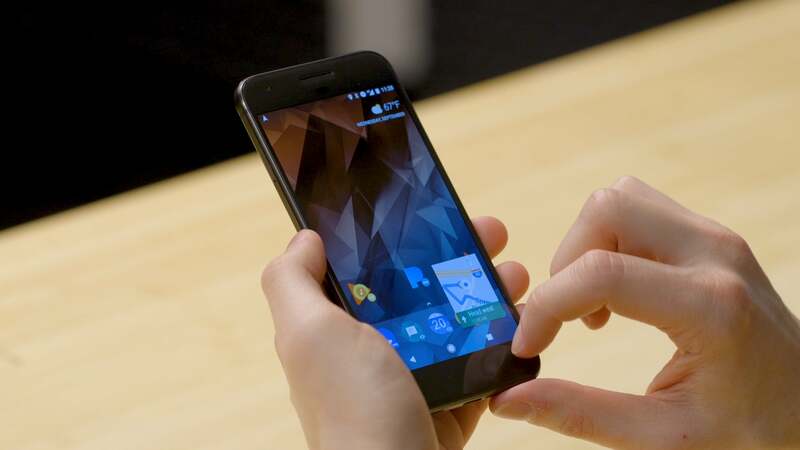 Google's Android Oreo release is full of fresh flavor for your phone, but some of its most useful options are out of sight and easily overlooked. So pour yourself a tall glass of milk and prepare to dunk into maximum productivity: Here are 18 advanced tips and tricks for Android 8.0 and 8.1, Oreo. 1. Oreo introduces a new smaller format for lower-priority notifications — typically reserved for the types of alerts that are proactively informative but don't require immediate attention. Such notifications show up in a collapsed-down form when other notifications are present and then expand only when you tap them. You'd never know it without digging, but you can actually control which notifications use this format. Go into the Apps & Notifications section of your system settings, then select any app and tap "App notifications." If the app has proper Oreo-level notification support (Google Photos is a good example), you'll be able to select different categories of notifications for the app and then change their importance level. Setting any category's level to "low" will put all associated alerts in the low-priority format, with collapsed-down notifications and no accompanying sounds or pop-ups. Two notifications from the Pulse SMS app: on top, a standard incoming message alert, and beneath it, a persistent quick-compose tool that's set to appear in the low-priority format. 2. Those different categories of notifications you see for apps with Oreo-level support? They're part of a new Android 8.x feature called Notification Channels. Rather than only being able to turn all of an app's notifications on or off, Oreo lets you get granular and create preferences for specific types of alerts within an app. Google Maps is a great place to see just how powerful this possibility can be. Find it in the Apps & Notifications section of your system settings, then select it and tap "App notifications." You'll be presented with a sprawling list of types of notifications Maps might generate — everything from commute-related travel times to driving notifications and nearby business info. 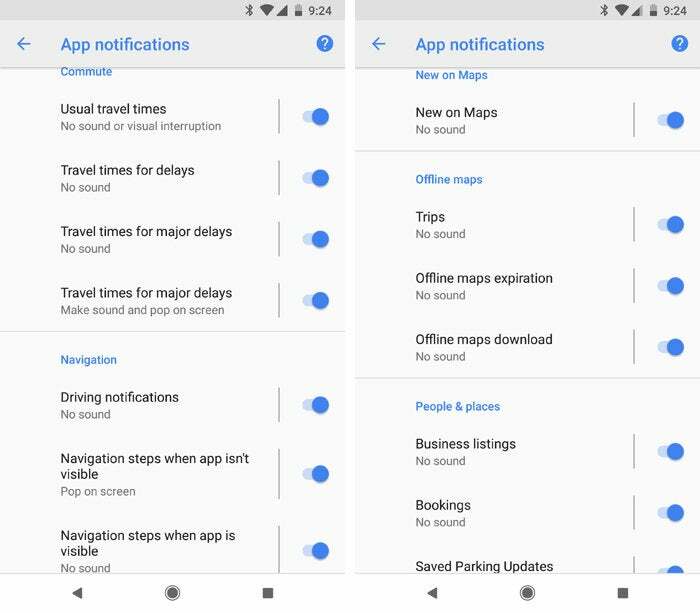 You can tap on any of those categories to disable its alerts or change its behavior without affecting any of Maps' other notifications. Oreo's Notification Channels feature gives you granular control over exactly how an app can interact with you for different types of alerts. 3. Oreo includes new persistent notifications to let you know when an app is potentially using up your phone's battery in the background. That can be useful, in theory — but it can also get annoying after a while, especially if such alerts are always appearing (and if you're well aware of the reason why). As of Android 8.1, though, it's easy to send those alerts packing: Head back into the Apps & Notifications section of your system settings and tap the line to see all of your apps. Next, tap the overflow menu icon in the upper-right corner of the screen and select "Show system." Now select "Android System" from the list, then tap "App notifications" and look for the line labeled "Apps consuming battery." All that's left is to turn its toggle off. 4. Got a notification you don't want to deal with immediately — but also don't want to forget? Use Oreo's super-handy (but also super-hidden!) snoozing feature: Simply slide a notification slightly to the left or right, then tap the clock icon that appears along its edge. That'll let you send it away for 15 minutes, 30 minutes, one hour, or two hours and then have it reappear as new when the time is right. 5. Another new Oreo feature is the system-level ability for launchers to display dots on an app's home screen icon whenever that app has a notification pending — yes, much like the notification badges on iOS. Unlike iOS, though, Android already has an excellent system for viewing and managing notifications, which can make this addition feel rather redundant and distracting. But wait! Here's a little secret: You can disable the dots — if you know where to look. Mosey on back to the Apps & Notifications section of your system settings, then tap the line labeled "Notifications" and turn off the toggle next to "Allow notification dots." You can also opt to disable the dots on an app-by-app basis, if you'd prefer, by tapping individual apps within the Apps & Notifications menu and then selecting "App notifications" and looking for the "Allow notification dot" toggle. 6. Oreo's picture-in-picture mode is even more useful than it looks. 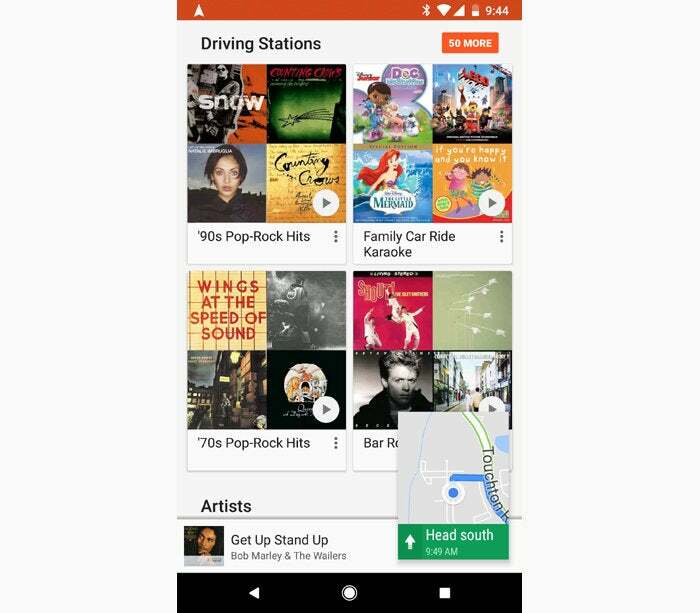 Sure, the feature can let you view videos in a floating box while doing other things on your phone — but it also works with non-video-related apps like Google Maps for navigation. Picture-in-picture mode can let you keep an eye on navigation while also performing other tasks. To launch picture-in-picture mode, first open a supported app and start the appropriate process — video-playing, navigation, or whatever the case may be. Then just press your phone's Home or Overview key, and the app should automatically shrink down into a floating box over your home screen or recent apps list. You can drag it around the screen, tap it to reveal controls, or fling it toward the bottom of your screen to dismiss it. 7. One tricky thing with picture-in-picture mode is knowing which apps support it. Little-known fact, though: Your phone actually has a list. Open the Apps & Notifications section of your system settings, tap "Advanced," and then select "Special app access." Next, tap "Picture-in-picture," and there you have it: the full breakdown of which of your installed apps is picture-in-picture-ready. In general, video-centric apps like Netflix, Google Play Movies, and YouTube are good to go (assuming you have an active YouTube Red/Play Music subscription in the last case). Some chat apps, including Google Duo and WhatsApp, also support picture-in-picture for video calls. 8. By default, Android shows your device's current battery level as an icon in the main status bar — and the actual numerical percentage appears only when you swipe down and open the notification panel. If you'd rather have the percentage be permanently visible in the status bar, Oreo introduces a native way to make that happen: Just open up the Battery section of your system settings and look for the "Battery percentage" toggle. 9. Oreo makes it easier than ever to see which apps are hogging your battery. Gallop on over to the Battery section of your system settings and scroll down a bit, and you'll see a list of the biggest power-drainers since your last full charge. 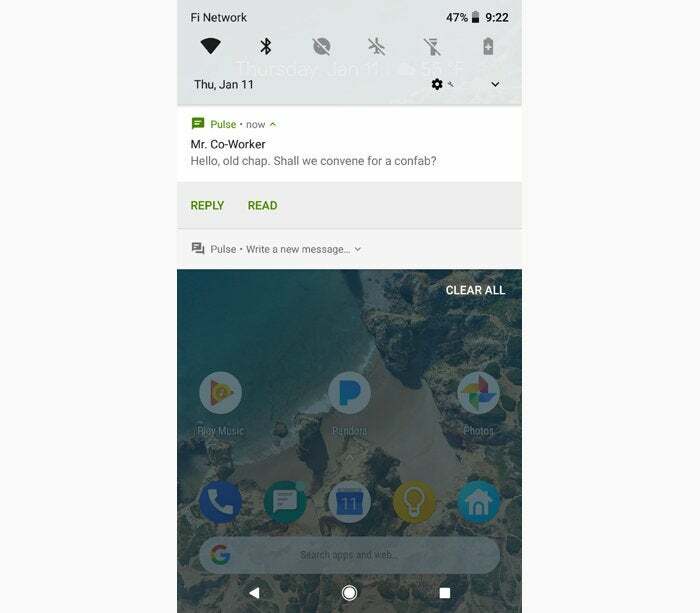 As of Android 8.1, if an app is using an unusually high amount of power, it'll also be highlighted at the top of the screen with a warning icon and some suggested steps for reining it in. 10. Rockin' Bluetooth headphones? If you have Android 8.1, be sure to look in your device's Quick Settings panel when the headphones are connected. It'll show you their current battery level right there, alongside the Bluetooth icon — and if you tap to open the full Bluetooth settings menu, you'll see the exact percentage in numerical form. 11. Next time you're thinking about connecting to a public Wi-Fi network, hop into your phone's Wi-Fi settings first to see how the network rates. With Android 8.1, you'll find new network speed rankings right below public network names. 12. Squinters, take note: Oreo comes with a new option that'll make it easy for you to magnify areas of your screen on demand. Open up the Accessibility section of your system settings and select "Magnification." Next, select the "Magnify with button" option and flip the toggle to turn it on. Now, whenever you want to zoom into something, you can just tap the new button in the lower-right corner of your display and then touch and hold anywhere on the screen. Oreo's accessibility button option lets you zoom into text with the tap of a button. A similar option exists for reading text out loud. Look under "Select to Speak" within the Accessibility settings to give it a whirl. 13. If you use a password management app like 1Password or LastPass, be sure to set it as your autofill service of choice in Oreo's settings. That'll allow the app to fill in fields for you all throughout the operating system (in a much more efficient and user-friendly manner than previous workarounds allowed). You can find the option in the Languages & Input section of your system settings, under the line labeled "Advanced." 14. When you see an address, URL, phone number, or email address on your phone, try long-pressing or double-tapping it. That'll tap into Oreo's handy Smart Text Selection feature, which recognizes the text for what it is and quickly selects the entire string for you — figuring out the appropriate start and end point on its own — and then gives you an in-line option to open it in the most logical place (Maps for a physical address, the Phone app for a phone number, and so on). 15. Not a fan of Android's graphical time-picking tool? 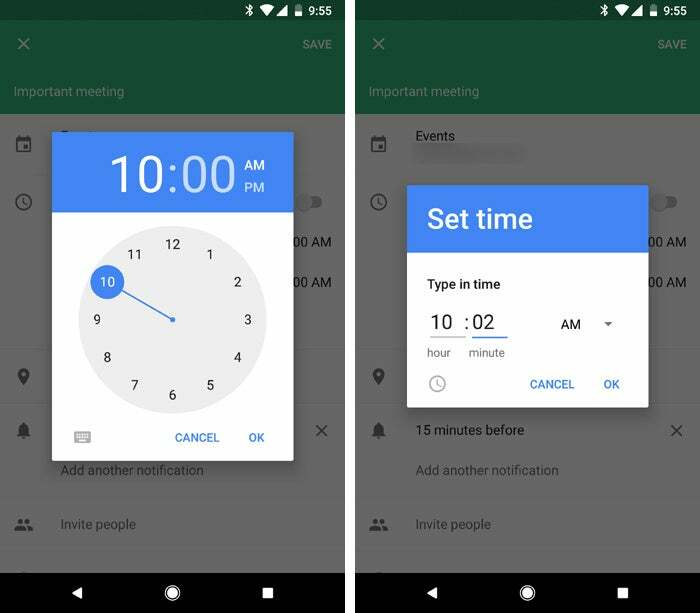 When you select a time in Android 8.x — like in your calendar app, for instance — look for the little keyboard icon in the lower-left corner of the box. That'll switch you over to a new manual input option that makes it a bit simpler to get the exact time you want in certain scenarios. Oreo has a new manual option for inputting time. 16. 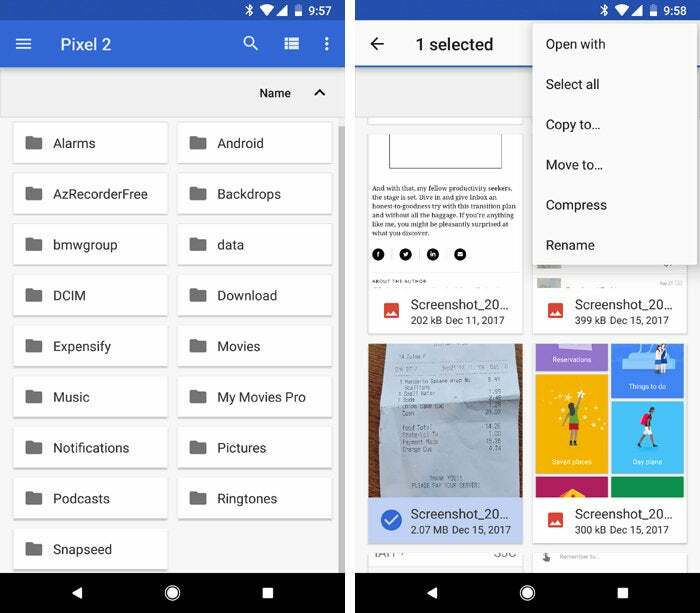 File this one under "file management": Oreo has a newly enhanced native file manager — but it's only useful, of course, if you can actually find it. Open the Downloads app on your device, then tap the overflow menu icon in the upper-right corner and select "Show internal storage." Now open the main left-of-screen menu and look for your phone's name. Tap it, and that's it: You can now browse, copy, move, or share files to your heart's content. Browse and manage files with Oreo's newly expanded (but not so easily discovered) native file manager. 17. Ever get one of those emergency alerts on your phone and instinctively dismiss it without actually looking? Android 8.1 makes it possible to go back and see all the alerts that have arrived on your phone over time. Simply open up the Apps & Notifications section of your system settings, then tap "Advanced," "Emergency alerts," and "Emergency alert history." 18. If your phone has Android's native Night Light function enabled, look for the "Night Light" option within the Display section of your system settings. There, you'll find a new intensity slider to control exactly how tinted your screen becomes in the dark.